Images used here show finished work, finished product will fit into a 5x7 frame with 14ct aida. (Colors may vary from pattern design, feel free to change up whatever colors you like!) 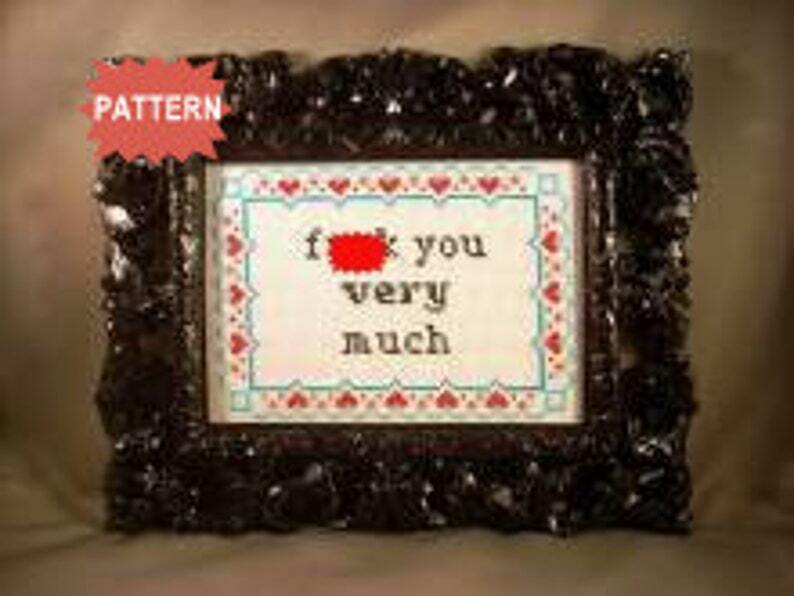 First image is edited to meet Etsy's mature content rules. This magnet is perfection! A perfect quote from my favorite Chappelle’s Show episode. It’s such a fun way to spruce up the refrigerator. It was packed with much care & arrived quickly. I’ll definitely be buying from this shop again. Thank you! Pieces will be sent once payment has cleared. Payments can take up to 5 business days to clear into my bank account. If payment is not received within 7 days the item will be relisted and the sale will be canceled. If piece is damaged in the mail and I did not send you a delivery confirmation number please contact me, most items are insured for $50 or more so any damage (broken frame) can be replaced by purchaser once reimbursed for damages by postal service. If a magnet or smaller item is damaged, send me images and I will replace it with a new one! 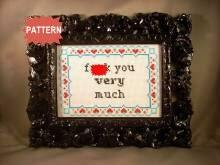 I do not refund patterns, the word "pattern" is on the image, in the title and in that he description.. please read before purchasing! Thank you. Any finished products or patterns purchased in my shop are NOT allowed to be sold on Etsy. This is not a competition! What you sell locally or to friends is fine.